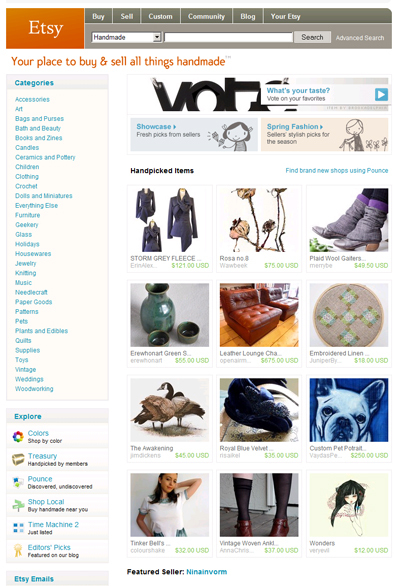 The very talented Victoria Bennett Beyer happened to catch one of my pups on the Etsy Home Page! Thanks for saving this image for me Vicki…Oh and in celebration of her own Etsy Anniversary, she’s giving away a wonderful print on her blog. Check it out! at the work of Victoria Bennett Beyer. I’ve been meaning to write this post ever since I got my hands on Vickie’s fabulous Glass Diamonds print. That print had stared at me for months…something, which on the surface seems so simple, but upon a closer take reveals so many little intricate details, that’s what Vickie’s world is all about. She captures the things we would overlook, and gives a new perspective to them. I’m still hunting the perfect spot…but I couldn’t resist this subtly detailed frame when I saw it…perfect! Victoria has two etsy shops, one a Mother-Daughter shop she shares with her equally artistic Mom, Milemarker.etsy.com, and she just launched a store exclusively for her paintings, Milemarker2. Oh and if you want the very latest on Vickie’s work…check out her blog…which is conveniently located on my Friends list (right hand column of this blog). All artwork featured in this post is ©2009 Victoria Bennett Beyer.